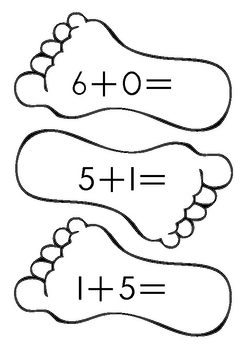 This game is an excellent way to engage children actively in practising their addition facts to 10. 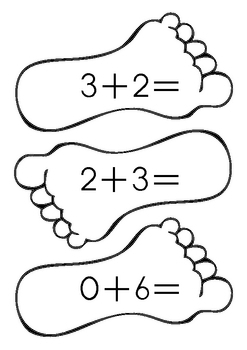 Children have to "stomp" on the feet to answer the math sum. 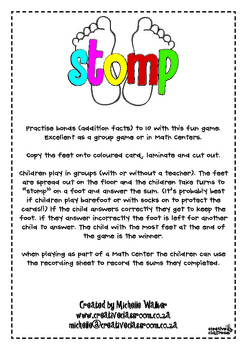 Can be played in groups with the teacher or as part of a Math Center. Two recording sheets are provided.